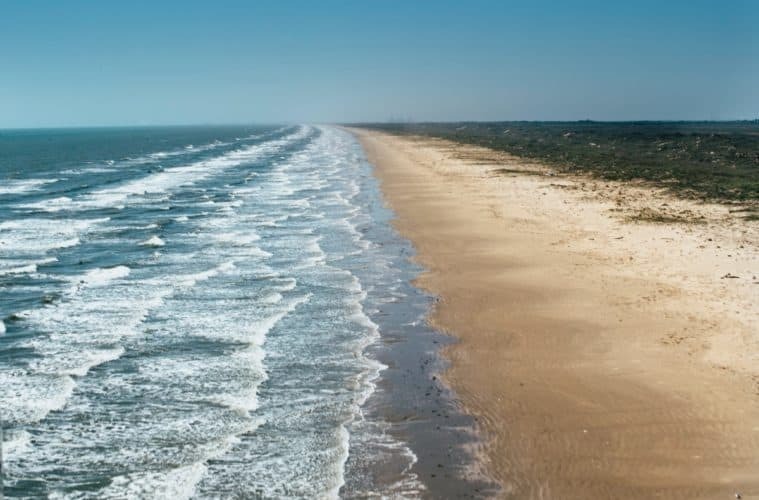 Texas is said to have over 6000 lakes and reservoirs with 377 miles of coast along the Gulf of Mexico. The area enjoys a vast number of fish and spots for fishing. Texas is also surrounded by scenic views of lakes, rivers, streams, wildlife, and outdoor adventures. If you have been wondering where are the best spots to fish in Texas, then here are 7 places you should consider going to fish. This reservoir is located about 100 kilometers south of the city of San Antonio. It’s primary inflow and outflow comes from the Frio River. The reservoir has over 690k acres of water. It has beautiful scenic sights and a pleasant collection of wildlife including warthogs, alligators, and turkeys. The temperatures are more tropical and the summer heat tends to hit hard in the area. Otherwise, the area is filled with lush vegetation like the water star grass, American lotus, and hydrilla. The area is also pleasant for fishing tournaments meaning the place is well known and recognized by the residents. Fly fishing – the reservoir has a wide surface area for any form of fly fishing. You just take out your boat and head to a suitable spot to fish. Backwater fishing – if the vastness is not something you would like to explore, you can choose to fish along the shorelines and on the shallow waters on the reservoir. Onshore – this is also very common. Very simple and straightforward especially for the novice fishermen and women. There is plenty of fish to catch while still onshore. Offshore fishing – a ride in a charter and heading to the deep sea area can get you large and heavy catches of the largemouth bass among other species. Bottom fishing – the reservoir boasts a depth of 95 feet. That may not be as deep compared to other reservoirs but it’s good enough to indulge in bottom fishing. The kind of fish you expect to find here include blue catfish, channel catfish, flathead catfish, white crappies, sand bass, alligator gar, blue Hill, and white bass. Depending on the style of fishing you can also get other species of fish in the reservoir. The area offers a vast number of restaurants and coffee shops for dining with your family and the great beautiful views will also have you enjoying a great outdoor experience. There is also an amazing appreciation of wildlife and plant life with the likes of water star grass, American pondweed, and coontail, among others. This river feeds the Canyon Lake just past the reservoir. It also has beautiful hills and valleys that can be seen from afar. The temperatures in the area are subtropical with a slight wind blowing at 12mph. The water is well known to be freshwater. The area offers execution of many fishing techniques. Fly fishing– this is very common for catching the likes of rainbow and brown trout. Trail race fishing– also common in this river. Down along down spillways and dams located below and on the north end of Lake Dunlap. As for the fish, the river is filled with trout’s, the rainbow trout as well as the brown trout. Other species include the Guadalupe bass, largemouth bass, smallmouth bass, striped bass, white bass and the Rio Grande cichlids. The area offers other great activities you can indulge in including rafting, and canoeing. You could also visit the riverside nature center. The arboretum has over 200 species of wildflowers and grasses with over 140 species of trees.There is also a five-mile equestrian trail open in the vicinity that you can freely enjoy mountain biking and horse backing with your family. The Caddo Lake is the only natural lake in Texas, it is tranquil and environmently friendly for any kind of fishing. The waters are freshwater therefore a lot of fish to choose from. The lake lies in between Texas and Louisiana border. Reports indicate that the water may be slightly stained but the temperatures remain steady between 61 to 65 degrees Fahrenheit. There are many species of fish on this lake that can be caught using various techniques used by the fishermen and women. Backwater fishing – the water on the lake has a maximum depth of 20 ft that may not allow for bottom fishing therefore shallow waters provide the best fishing technique. Fly fishing – also very common here, take out the boat to the middle of the lake and catch your self some bass. Onshore and offshore fishing– the novice and experienced fishers will opt for these due to the vast number of fish you can get. You could catch the likes of largemouth bass, crappiest, white bass, sunfish, shiner, minnows, and chub, only to mention a few. The areas offer great ambiance with incredible landscaping and lots of fish to catch throughout the year. There is also great wildlife here with the likes of snakes, owls, alligators, waterfowl, river otters, beavers, eagles, and frogs. The lake is fed by Rio Grande river which lies about 12 miles north of Del Rio. The lake is referred to as the topwater lake in spring and fall with great fishery opportunities in the winter season. The area has a rugged structure or rock ledges, with great archeology and shorelines with an average temperature of 68 degrees Fahrenheit. The area is windy on most days with moist air and humidity. The area is known to be a hydroelectric reservoir with its main purpose being to generate electricity. The lake is very known to have the ambiance for all fishing techniques. Pier fishing – being an angler you can easily pier fish from the bridge. Fly fishing – it has a wide surface area meaning you can fish just about anywhere making it perfect for this technique. Offshore fishing – deep sea fishing cannot be missed in search of a widely scaled lake. Backwater fishing – if you don’t want the thrill of moving offshore, you can fish on the shallow edges of the reservoir and still get some catches. Bottom fishing – the reservoir has a maximum depth of 217 feet which is over 60 meters down allow you to bottom fish as low as you can get. The most common fish in the lake is the bass but there are other species like catfish and the other different varieties of the bass. The area also has great plant life with its main vegetation being the hydrilla. Despite that, lake Amistad offers a national recreational area where you can use the water for swimming, scuba diving, boating, and water skiing. If water is not your crowd then you can also indulge in hunting, camping or having a picnic. This creek is located on the southeast part of Dallas, in between Henderson and Kaufman counties in the state of Texas. The lake is artificial with its largest tribute being the trinity river just like Galveston Bay. Onshore fishing – the docks are the best spots to catch fish here as they are filled with worms and other live baits for the fish to feed on. Offshore fishing– you could also get charters to use for a little deep sea expedition to look for the big catches in the middle of the reservoir. Backwater fishing – the shallow water also allows for easy fishing at the reservoir. Common species that can be caught include the largemouth bass, blue catfish, channel catfish, flathead catfish, crappie, bluegill, white bass, hybrid striped bass among others. Fishing can also be quite seasonal here with the best seasons coming in the spring and summer. Other great activities to partake in rather than the usual fishing include swimming and dining put to the many restaurants and shops. This lake is located on the east of Dallas, between wood, rains and Hopkins counties of Texas. The reservoir covers over 27,000 acres with premier largemouth bass fisheries in the state of Texas. The Reservoir has moderate clarity with a pool elevation of 403 feet. Temperatures go as high as 70 degrees Fahrenheit with cool air and humidity. Bottom fishing – the Reservoir has a maximum depth of 70ft. Not so deep but good enough compared to other spots. Night fishing – especially during the hot summer, the Texas heat can make you escape the sport but this technique is favorable. Pier fishing – you could get the crappies under the bridge if you angle correctly. Rules and regulations on pier fishing stand. The most common fish species in the lake is big bass, and catfish. The reservoir holds a record of the largest largemouth bass ever caught hence a premier location for bass fishing in the world. Other species found in the reservoir include the white and black crappie, sand bass, yellow bass, sunfish, bowfin, alligator gar and bluegill. The seasons highly dictate on the fish that will be caught by the anglers. The spring fall and winter are good for largemouth bass, barfish, and crappies, the summer has the sunfish redear and bluegill. The area enjoys great vegetation with the likes of hydrilla, millfoil, water hyacinth, alligator weed, water primrose, coontail, American lotus, and duckweed. There is an abundance of fish to catch all seasons, especially during winter. You can rarely miss catching whichever spot you choose to fish from. This saltwater bay is 30 miles of beach in the Gulf of Mexico. It holds important estuaries in Texas being the 7th largest in the US. The area is surrounded by subtropical marshes over the mainland. Some areas may also have fresh water in them. The majority of its inflow comes from the Trinity River with another percentage given off by San Jacinto river. The climate around the bay can be specified to be humid, with winds blowing from the south and southeast of deserts of Mexico and moisture coming from the Gulf of Mexico. Summer temperatures can shoot to as high as 92 degrees Fahrenheit and winters drop to as low as 40 degrees Fahrenheit. Pier fishing – the area allows for pier angling over at the Galveston fishing pier. Inshore fishing – you don’t have to strain to fish out the bay, you will definitely get a catch even if you relax by the shoreline and fish. Offshore fishing – you could go over the Pelican island and explore the fish there. With the right lures and bait, you can get many species of fish. Eagle point fishing camp – this is also a common spot on the bay where you are assured of something by the end of your fishing expedition. Backwater fishing– the shallow shorelines allow for much vegetation and plant life that aid to lure the fish close to the banks for an easy catch. Unfortunately, the area doesn’t allow bottom fishing as the area only has an average depth of 6 to 10 feet. This is very shallow for any bottom fishing activity. The common species found at the bay include; black drum, catfish, golden croaker, sheepshead, puppy drum, spotted seatrout, the southern flounder among others. The area gives off pleasant marine life with the fish, shrimp, oysters, and crabs. There are also bottlenose dolphins and diverse wildlife and bird species like the yellow rail and pelican. Texas is surrounded by amazing ambiance for the sport of fishing, the spots that are found here not only shine for the purpose of fishing, but they are also great for other outdoor experiences and recreational activities. The land is also scaped to be environmental friendly allowing beautiful views all year long and a chance to learn the sport of fishing. These are definitely the spots you need to be fishing at to have that great fishing experience.